The Page 99 Test: Jon Cowans's "Empire Films and the Crisis of Colonialism, 1946-1959"
Jon Cowans's "Empire Films and the Crisis of Colonialism, 1946-1959"
Jon Cowans is an associate professor of history at Rutgers University–Newark. Empire Films and the Crisis of Colonialism, 1946-1959, assesses the role popular cinema played in western countries’ reactions to the dismantling of the colonial empires after World War II, and what those films and reviews of them suggest about how American, British, and French people felt about decolonization. The book argues that the films of those years reveal considerable distaste for colonialism but also deeply embedded colonialist mentalities and assumptions of cultural superiority. Although a few films were out-and-out colonialist propaganda or were blatantly racist, while an equally small number were genuinely anti-colonialist, most were “liberal colonialist,” meaning that they favored more liberal, humane, non-racist, and egalitarian approaches toward colonized peoples. “Liberal colonialism,” however, is a fundamentally unstable construct, even an oxymoron, and these films inadvertently revealed the problems inherent in any colonial project that seeks to justify itself on such grounds. If the films’ pleas for equality, downplaying of difference between colonizer and colonized, and flattering visions of humanitarian whites earned sympathy from many western critics – while also, perhaps, building support for last-ditch efforts to preserve colonial dominance – they also helped audiences come to terms with the need for decolonization and for fundamental changes in race relations both at home and abroad. The passage on page 99 concerns John Ford’s Fort Apache (1948), which has often been mistaken for a traditional western about Indians. Unlike many other Ford films, this one was deeply critical of whites’ mistreatment of American Indians and was a pioneering film in that respect. The passage in question is more descriptive than analytical; before analyzing and contextualizing a film, it was important to recap it for viewers who had not seen it or could not remember it. 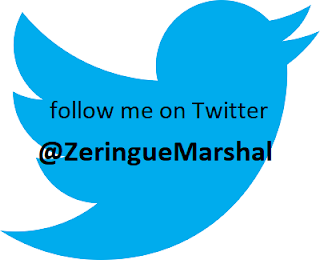 In that sense, the passage is somewhat unrepresentative, but it conveys how this film, like many others discussed, indicated important changes taking place in popular cinema’s treatment of colonialism. 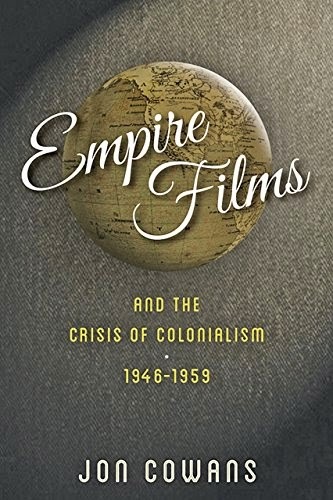 Learn more about Empire Films and the Crisis of Colonialism, 1946--1959 at the Johns Hopkins University Press website. Jason Stanley's "How Propaganda Works"
Thomas Aiello's "Jim Crow's Last Stand"
Melanie Keene's "Science in Wonderland"
Thomas Parker's "Tasting French Terroir"
Cedric de Leon's "The Origins of Right to Work"
Susan J. Terrio's "Whose Child Am I?" Kristin Kobes Du Mez's "A New Gospel for Women"
Karen M. Paget's "Patriotic Betrayal"
Charlotte DeCroes Jacobs's "Jonas Salk: A Life"
Howard Gillette, Jr.'s "Class Divide"
Sheila A. Smith's "Intimate Rivals"
Peter Singer's "The Most Good You Can Do"
Andrew Hartman's "A War for the Soul of America"
Eve MacDonald's "Hannibal: A Hellenistic Life"